Rialto Capital Management, LLC and Rex Property & Land, LLC are pleased to announce the relocation of New Moon Café to the JB White’s Building located at 936 Broad Street. The Café will compliment the soon to be completed 51-residential condominium project which plans to begin sales in spring of 2012. Owner Christine Allewelt cites many reasons for the relocation including a much needed larger space, gated patio, mezzanine for private events and a location convenient to the new TEE Center. New Moon plans to open their new location in mid-May and provide exclusive benefits to JB White’s Building residents, including a travel mug with unlimited $1 refills, a twenty-five percent discount on all retail items, a membership to Augusta Locally Grown, and a home-meal replacement service. For more information, contact Paul King of Rex Property & Land at 706-722-4962, Ext. 102. 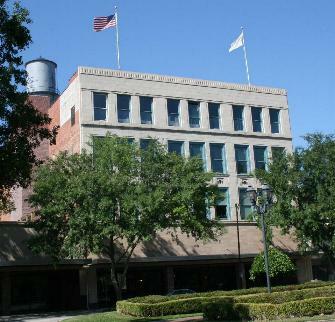 The JB White's Building downtown Augusta, Georgia. What are some of the things that separate successful historic-preservation-based redevelopment efforts from projects that struggle? Redevelopment efforts frequently take place in neighborhoods with real or perceived security and crime concerns. Failure to address these concerns in the early stages of a project can mean money wasted as the project labors to attract tenants or buyers. Secure locks on entry buildings and apartment building entry doors. Providing double cylinder deadbolts gives residents peace of mind. Additional security can be found in latest technologically advanced locks such as those designed by Kwikset and Schlage. 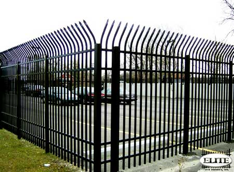 Another essential asset to historic downtown living is to include safe and reliable security fencing. For the property and especially the parking lot, residents appreciate gated and well-lit parking and are willing to pay a premium for these features. Privacy fences that are high, well built out of wood, or wrought iron are especially attractive, but even one made out of vinyl coated chain link can work well in less visible locations. Historic preservation rules may guide your fencing choices. 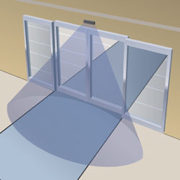 A gate with remote control openers allows for tenant-only parking. After the sun sets, we ll-lit grounds, hallways, elevators, stairwells and garage lighting becomes very important for those coming home after dark. Dusk-to-dawn sensor controlled lighting and motion sensor lighting help to ensure no dark corners exist in and around your property. Wall packs fixtures on the side of buildings keep alleyways and driveways well-lit. For piece of mind, some residents want their own security system installed in their apartment. They can program the system themselves to add a layer of security whether they are home or not. 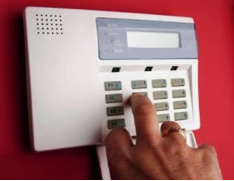 Also, residents appreciate a remote entry security system to identify and confirm their visitors. And finally, to ensure a good neighbor, it helps to know who they are. Property owners can provide background checks on all prospective residents so those in the building can feel safe knowing with whom they share common spaces and lobbies. Rex Property and Land, LLC is a property management company that specializes in downtown and commercial properties and redevelopment of historic buildings and loft apartments. For more information contact Paul King or visit Rex Group.